I made a reservation a Sanaa at Kidani Village Animal Kingdom Lodge with the idea that I would give it a try. 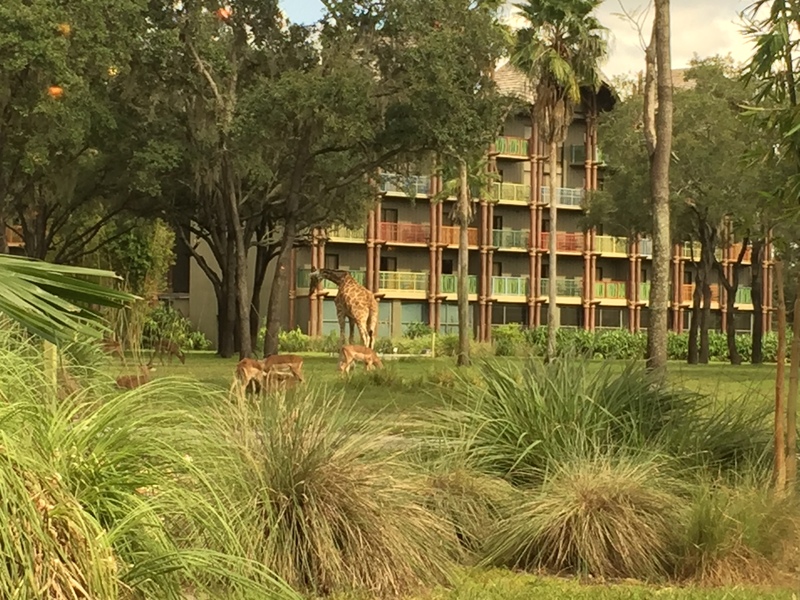 It is a lot out-of-the-way unless you are staying at the Animal Kingdom Lodge. But it is so worth it! I decided to just get a quick bite instead of a full meal. 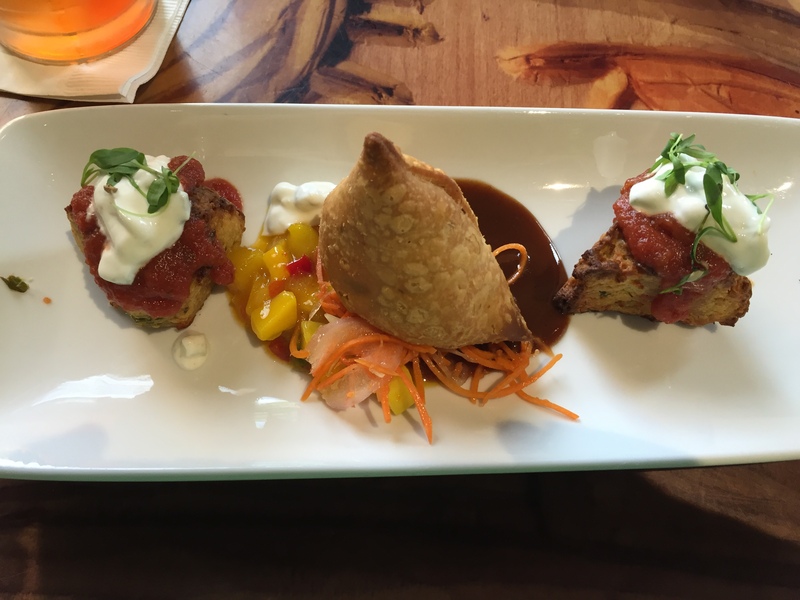 The first thing I got was the Chaat Plate: spiced chickpea cakes with potato and pea samosa with tamarind and mango chutney. This was amazing and the flavors were delicious. I would order this again. 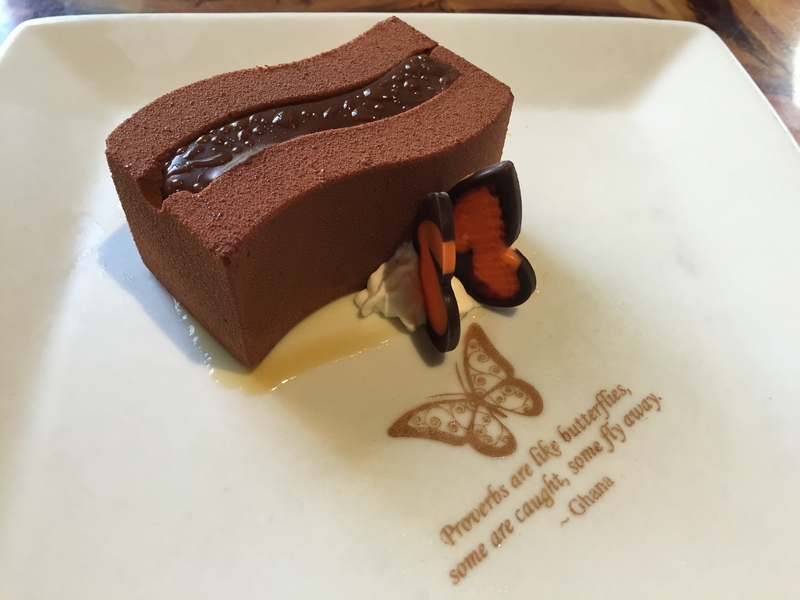 Also I ordered the Tanzanian Chocolate Mousse. This was also spectacular! The atmosphere was unbeatable! My table was looking over the savannah and while I ate I saw a quite a few animals and since it is on ground level they aren’t too far out from the buildings. Bottom line: I will be back to this restaurant! You honestly can’t beat the location and the delicious food. It is out-of-the-way but worth the work to get there.